Bluetooth is starting to get cool again. Or maybe just cool for the first time. Gone are the days when only business people wore a headset and they were only useful for making calls. 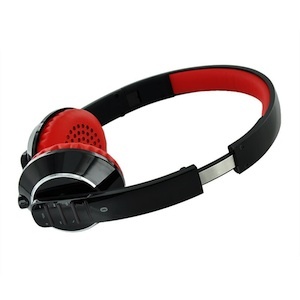 Now stereo Bluetooth headphones stream music wirelessly with surprisingly good fidelity and long battery life. 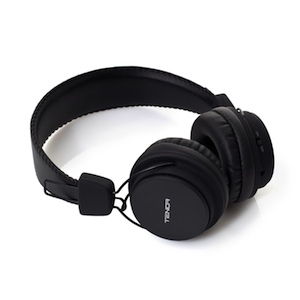 Other than the convenience of a wire-free connection, these headphones also offer control over playback and volume right on the earcup and easy switching between listening and making calls. Bonus: this control isn't limited to iPhones. Android, Windows Phone, even BlackBerry owners can get in on it. Mics that block background noise when on calls. For those who want it all–no wires, full control, great audio quality, and great call quality–these Zik headphones designed by Starck should top your list. Though they're Bluetooth, even audiophiles will find satisfaction in the rich and well-rounded tones the Zik produces. If the battery dies you can use the included cable to connect to your phone or media player, but surprisingly the audio is actually much better through Bluetooth. Yes, the cans are rather large, but they're not too heavy and do a decent job blocking sound. Or, turn on the active noise cancellation and you can wrap yourself in music. The Zik boasts an impressive number of controls and options beyond this. They can detect when you put them on and only turn on certain features at that point, which saves battery. To make the pairing process easier, they include NFC -- just tap your phone to the Zik and you're set. The cans are touch-enabled, so you just swipe up or down to raise or lower volume and swipe forward or back to skip or repeat tracks. A mic array ensures that your voice comes through clearly on calls, even when you're in a noisy environment. In other words, they're more than worth the premium price. Budget headphones that sound good are hard enough to find, but add the power of Bluetooth for listening to music and taking calls for under $50? That's a definite find. The Remxd from Tenqa aren't as fancy as more expensive offerings and that's okay since the basics are covered. Listen to music and take calls wire-free with the ability to adjust volume and play/pause or answer/end right on the earcups. Controls: Play/Call control, skip tracks, volume, mic, on ear cup. Add a dash of style and color without adding too much more to the price with the Air-Fis, an on-ear headset that fits snug and comfortable. Audio quality is good but not great when listening wirelessly and even better if you connect the included cable. Buttons on the earcup offer play/pause and answer/end plus playback and volume controls -- everything you need so you don't have to take your phone out, even when a call comes in. It may take a while to memorize which is which by feel. In-ear Bluetooth headphones aren't quite as wire-free as the others since building all the tech into the earbuds would make them ridiculously heavy. Plantronics strikes a good balance with this headset by placing the controls on the single wire connecting the two buds. The whole affair is light and long enough to be worn around the neck comfortably all day. The controller will answer or end calls, play, pause, and skip tracks, control volume, and activate voice controls on your phone (if it has them) so you can speak commands. The mic picks up even soft voices and does a decent job filtering background noise. Audio quality is great for calls but not as good for music. Plantronics BackBeat GO 2 is great. Other opt like JayBird BlueBuds X, pricey but truly worth for the money. 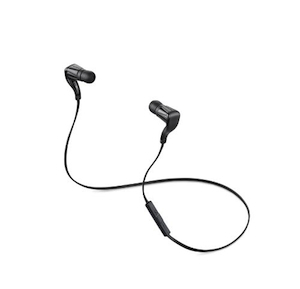 But I like bluetooth earbuds from sony, SONY SBH80. 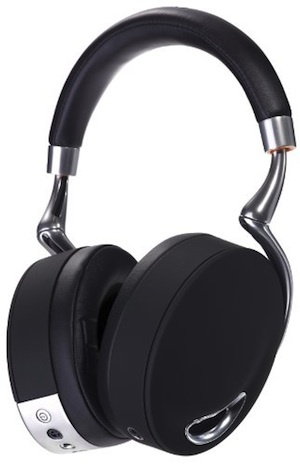 The Parrot Zik headphones will always be one of my favorites, although they may be a little be dated when it comes to the best Bluetooth headphones (and a tad expensive for the average consumer). I am using Tzumi Bluetooth earbuds from Walmart. They are cheap and they are working just fine for me. I decided to get Bluetooth earbuds because I have a five year old and not having it connected to my phone makes it easier incase I have to jump up quickly I won’t be pulling my phone after me. I’ve only had them for about a month now.